Traveling to and from the airport can be stressful, especially when trying to make it there with enough time for check-in and TSA. 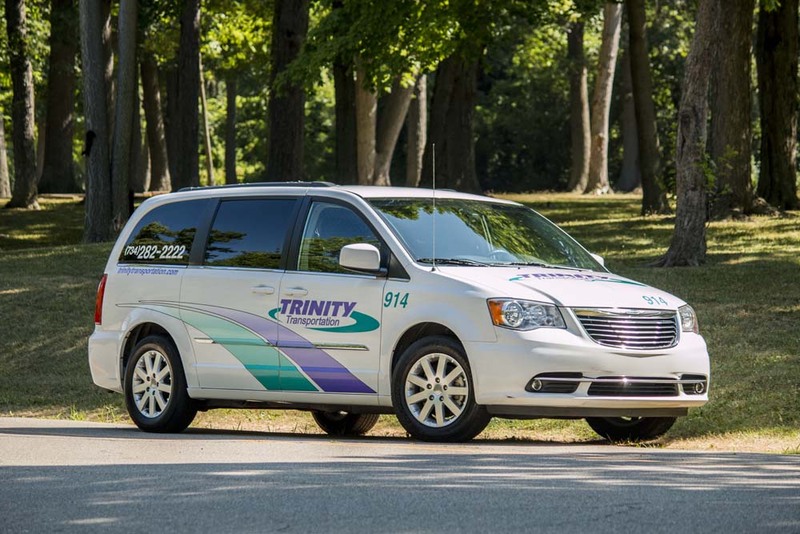 Leave the transportation to Trinity so you can relax during your airport commute! With our wide range of vehicles, we are able to accommodate your every need, from small to large groups, along with handicap accessible vehicles. Define the size and needs of your group. How many people will need to be transported? Does anyone have special needs? Do you have a lot of luggage? Once you figure out the size and needs of your group, you’ll be able to better determine which vehicle will suit you best. Visit our fleet page. Based on what you determined in the previous step, you can decide which vehicle will fulfill your needs by visiting our fleet page. We also have an article that describes our different vehicles and their uses to help you with this process. Request a quote. To request a quote online, follow our handy guide in this blog post. If you’d like to request a quote over the phone, you can reach our reservations department at 877-284-4200 and they will gladly assist you. Speak with a reservations specialist. Once you request a quote online, one of our reservations specialists will reach out to you to discuss your transportation needs in more detail. They will help you determine which vehicle is best for you and will discuss availability and pricing. Finalize the booking of your vehicle. Once you have found the perfect vehicle for your airport transportation and discuss details with our reservations specialist, you can finalize the booking of your vehicle! We will secure the requested vehicle for the dates and times needed, and you will receive an email confirmation. Whether your airport transportation is scheduled in advance or last-minute, we’re here to help!